2. Speaking of “Chinese” food, New York is getting a branch of Mission Chinese Food before we do? That is beyond f’d up. These people know that L.A. is only 400 miles away from S.F. right? So much for the whole”local” thing. 3. Anybody who tells you unabashedly that Cafe Livre’s new North African street food stand in Culver City is amazing, probably didn’t pay for it. Don’t get me wrong… it is super tasty food made by a presumably good chef. (And their french fries are kind of out of this world.) But $13 for this is borderline criminal- especially if you’re going to serve it take out style from a grill in front of your restaurant on Venice Blvd. I really wanted this to be awesome (merguez frites FTW! ), but no “street food” should be this expensive. 4. Why do people keep insisting that the #19 is the best sandwich at Langer’s!?! Even this fat man, who believes that every sandwich is improved by cheese, cole slaw, and russian dressing, was forced to admit that the pastrami at Langer’s needs to be enjoyed with nothing but bread and mustard. It’s science people. Oh, and while we’re at it… the hot sandwiches at Bay Cities are better than the Godmother. Get on board people! 5. I’m starting to believe that the 101 the 405 and the 10 form some kind of Good-Vietnamese-Food force field. It really shouldn’t be this hard. The latest axiom of my theorem… this place. 6. Before I listen to another person talk out about how good Which Wich is, can we all agree that there is a difference between being actually “good” and being “better than Subway”? And what’s with the “superior sandwiches” tag line? I am a superior basketball player to my 3 year old son. But I am not a “superior basketball player”. Remember when Quiznos first started, and your co-worker was like “OMG, they toast the buns! OMG, it’s so much better than Subway!” And you were like, “What the hell does OMG mean?” (After all, it was 2002.) Flash forward 10 years, and now it’s pretty much accepted that Quiznos is just another garbage fast food sub shop. Well ladies and gentleman… meet… the new Quiznos! 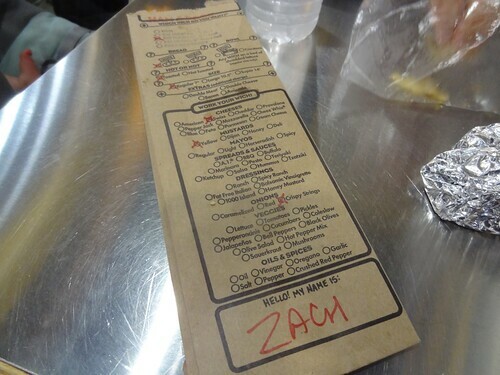 (“OMG, they have brown bags with check boxes on them! OMG, they have like 50 different sandwiches!”) Also- there is a difference between shrimp, and shrimp flavored balls. 7. I’ve given up complaining that Chego is not open for lunch. New obsession? Complaining that Sunny Spot isn’t open for lunch. 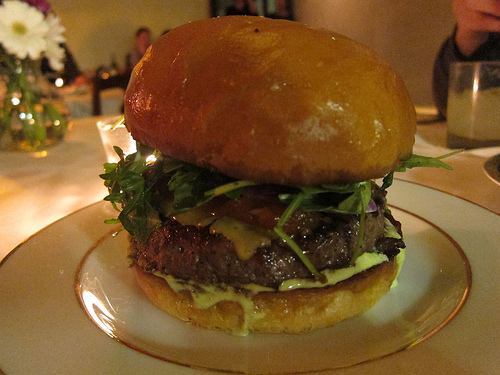 Not being able to eat this burger between the hours of Noon and 2pm on a weekday is a crime against humanity. Posted by Zach Brooks at 11:30 am, February 27th, 2012 under 7 Reasons to Hate L.A.. True, that burger from Sunny Spot rocks. Also…we ate at Cafe Livre on Friday night. very earnest effort. But man..waited 1 hour for first dish (tacos arabes) and then another 30-45 min to get our merguez and doner sandwiches. We were offered a 50% discount in the end. I really want it to be good, just like you. Hopefully it’ll be better, though it was their first weekend. And I remember how tough first days of business can be. Totally agree w/ Langers. Go minimal. Agreed — Langer’s pastrami is best unadulterated. 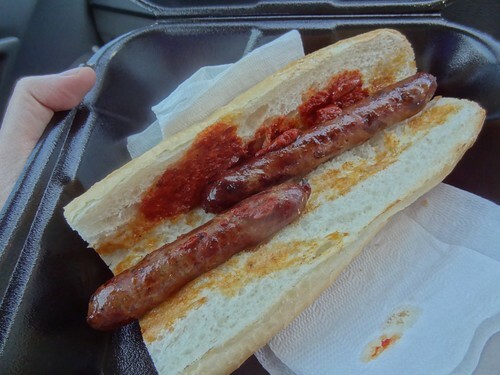 PS: Posted this on your Bay Cities entry, but it bears emphasis here that you can get your sandwich half meatball/half sausage for the best of both worlds. 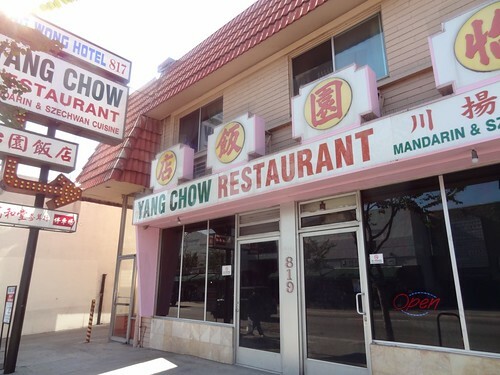 PPS: I think Chang’s on San Vicente does crispy orange chicken (their version of General Tso’s) as a lunch special. Just remember to specify you want it crispy because there’s a non-crispy version, too.